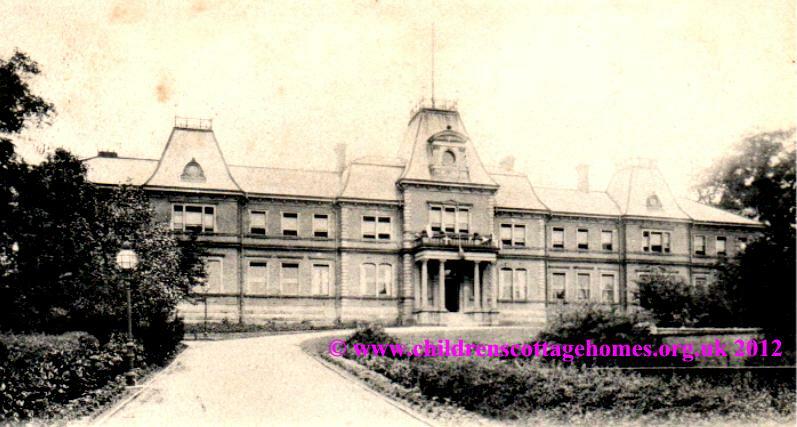 This orphanage was set up in 1875 for the children of railway workers who had died during the course of their duties. This very narrow condition of entry was relaxed over the years to include children whose parents had died of national causes and then, in 1927, children whose mothers were incapacitated were permitted. The orphanage which could house up to 300 children, was renamed the St Christopher's Railway Home in 1948. Numbers at the orphange fell after the Second World War and so the large old building weas demolished and replaced by two smaller houses in 1977. By 1982, only one of these houses was needed and, in 1993, the homes was closed. The Railway Orphanage in Derby served the north of the country, there was another Railway Orphanage in Woking which served the south of the country. Thanks are due to the National Archives for the above information. The Orphange is situated on the Ashbourne Road, Derby and occupies an elevated and healthy position in a pleasant suburb of the town. It was started twelve years ago, in a house in the London Road. The present building was at first a house, and has been gradually extended. It has now been completed, and will accommodate 300 children, and there are 200 now in the Home; the buildings, playgrounds, and gardens, occupying a a site five acres in extent. The handsome and well-arranged new building, which occupies the front and eastern side of the premises, has been designed and its erection carried out by Mr AA Langley, the engineer of the Midland Railway, who has given his services as Architect without charge. The contractor was Mr Edward Wood of Derby and the total cost, including furnishing, and the land has been nearly 28,000 pounds. The Derbyshire Record Office holds some records of the orphanage including children's records such as admission and discharge records from 1875 to 1926. "I can speak with confidence of the admirable management of the Institution, and all who visit it are impressed with the health, cheerful and intelligent appearance of the children, and with the kind and judicious discipline to which they are subject. They are well trained in habits of self-help and industry, and the girls are especially taught every kind of domestic work." 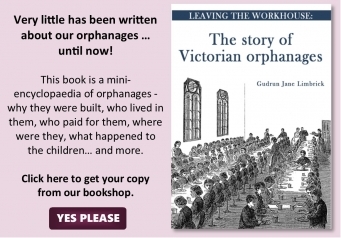 "The Orphanage is now united with the Railway Benevolent Institution and receives grants from its funds, but it mainly depends for its support upon the generous contributions of the travelling public, and should you kindly assist the managing committee by a donation, or by an annual subscription, you will, I can assure you, be lending a helping hand to really good work."